Constructed in high-quality aluminum, its curved frame makes the perfect stage for the canopy. Nofi Outdoor Swing Chair is not only designed for comfort, but it is also engineered to last through many seasons. The swing hangs over a rope made of stainless steel enveloped with nylon. Nofi Outdoor Swing Chair features seat & back crafted of weather-resistant fabric. 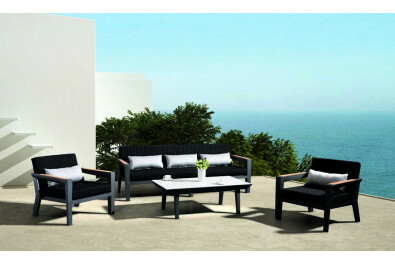 Place it in your garden or courtyard to enjoy your free time & take a rest! There flows a sleek lining of teak wood on armrests providing great serenity. 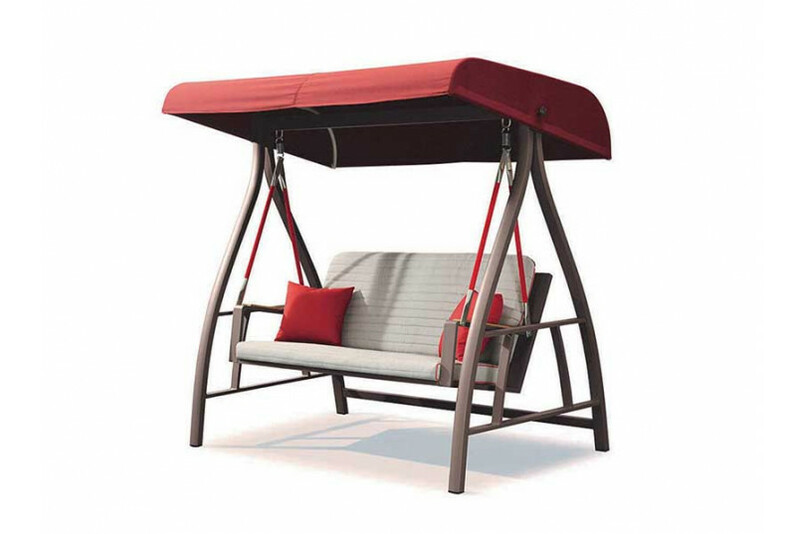 With canopy top made up of imported outdoor fabric, you will have ample shade against the sun all day.